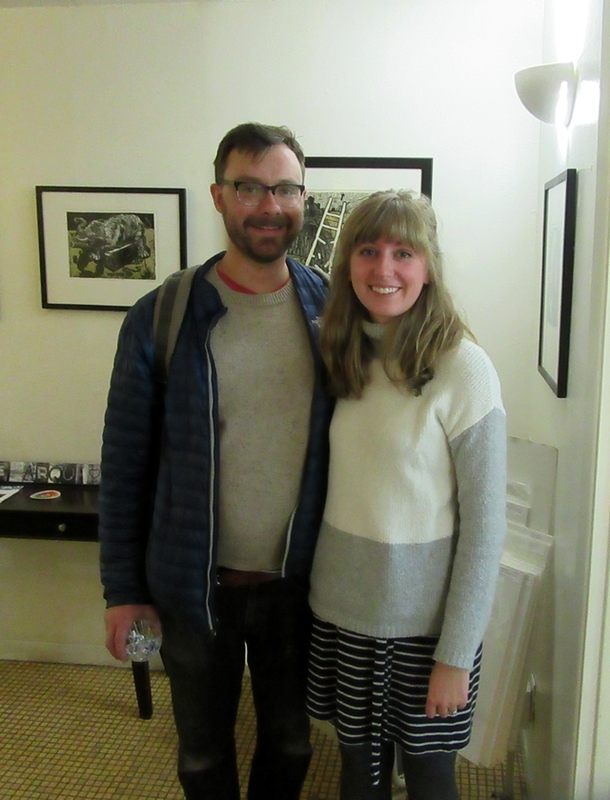 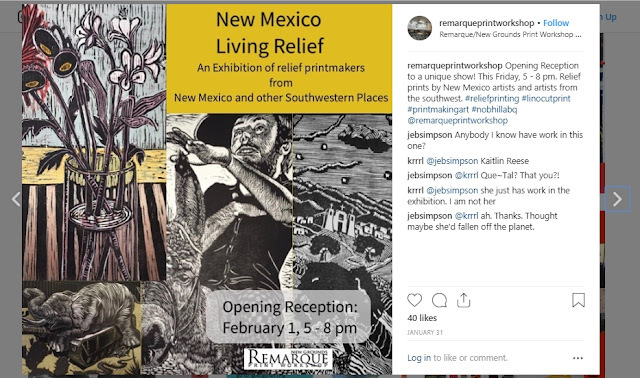 We had a great opening for the "New Mexico: Living Relief" exhibition, on February 1st, 2019. 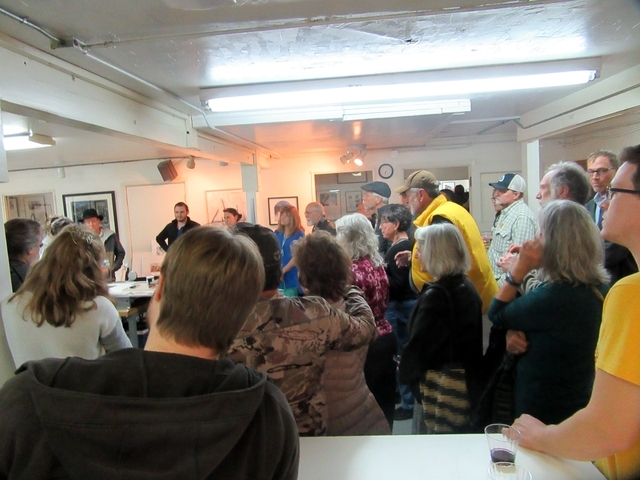 Many visitors came from Santa Fe. 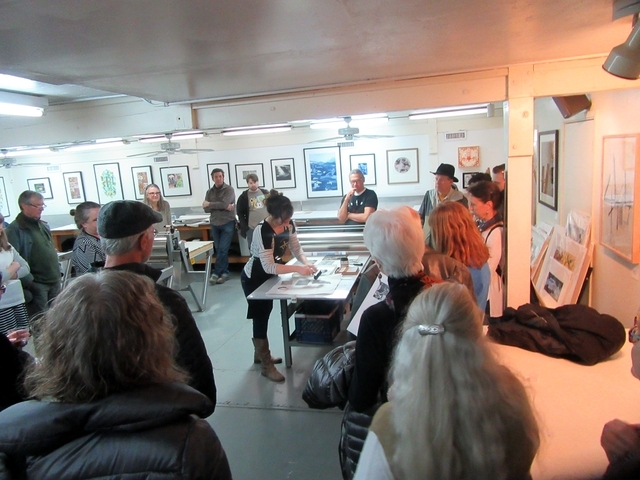 Many of the artists came. 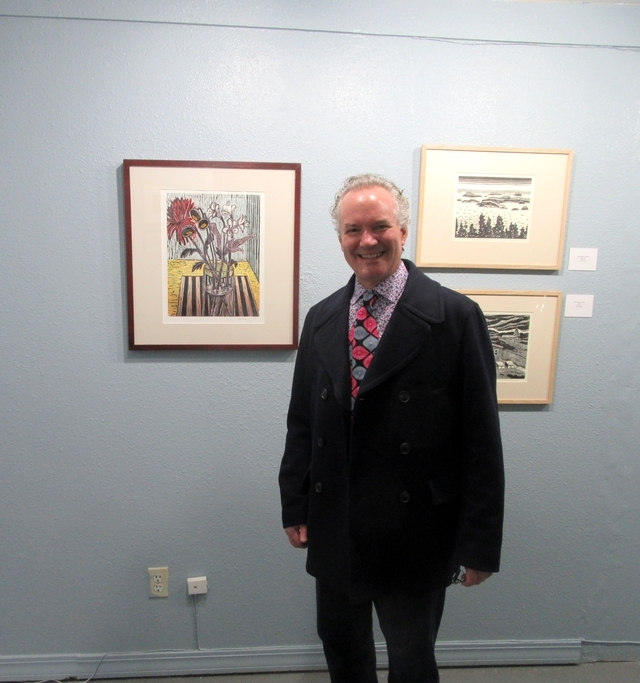 And the director of the Albuquerque Museum, Dr Andrew Connors, came. 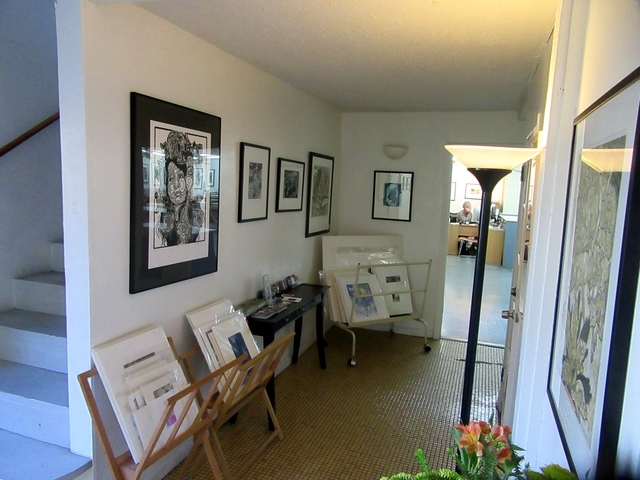 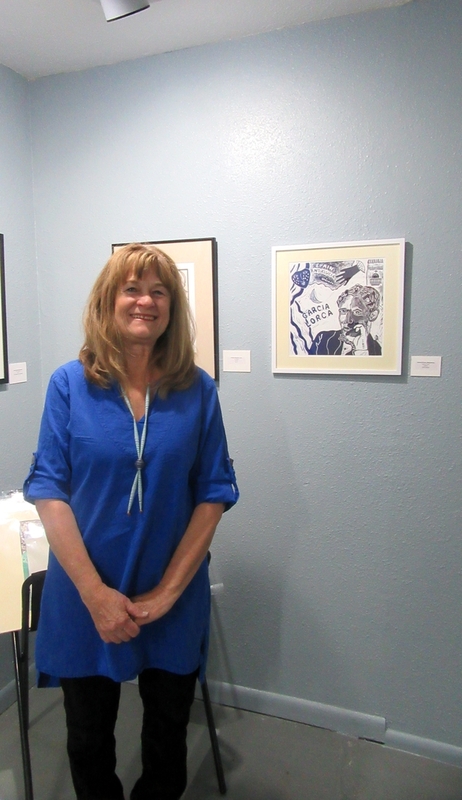 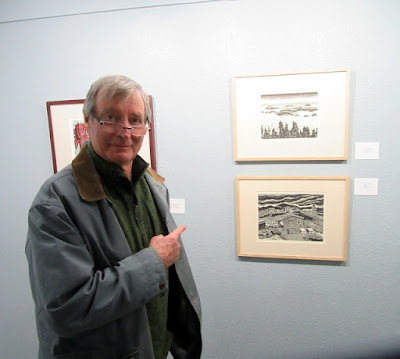 This exhibition aspired to exhibit the best living printmakers in the state of New Mexico, including those in the 575 area code, living in the southern part of the state. 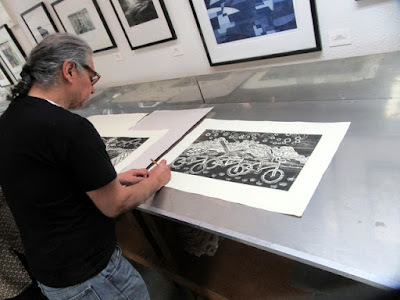 In this way it was a follow up to last year's Southwest Print Fiesta in Silver City, as well at the "Carved Line: Block Printing in New Mexico" exhibit at the Albuquerque Museum one year earlier. 7 living women and 8 living men New Mexicans exhibited relief prints in our gallery. 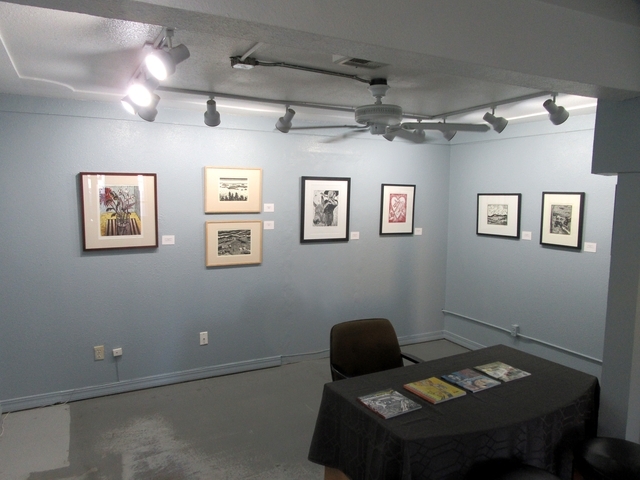 Also in the hallway we hung relief prints from just across the state line, by artists in El Paso. 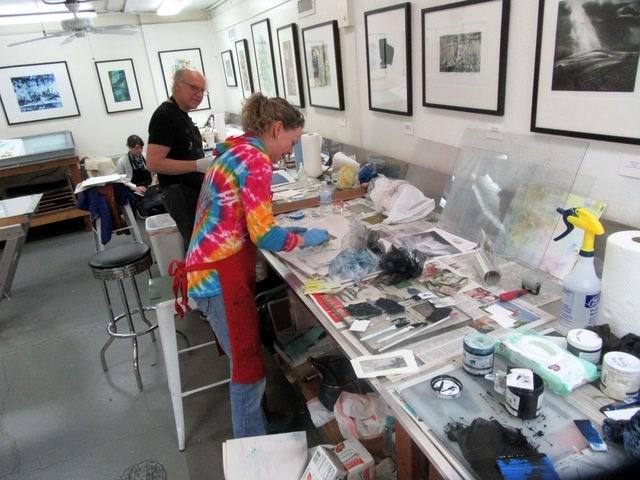 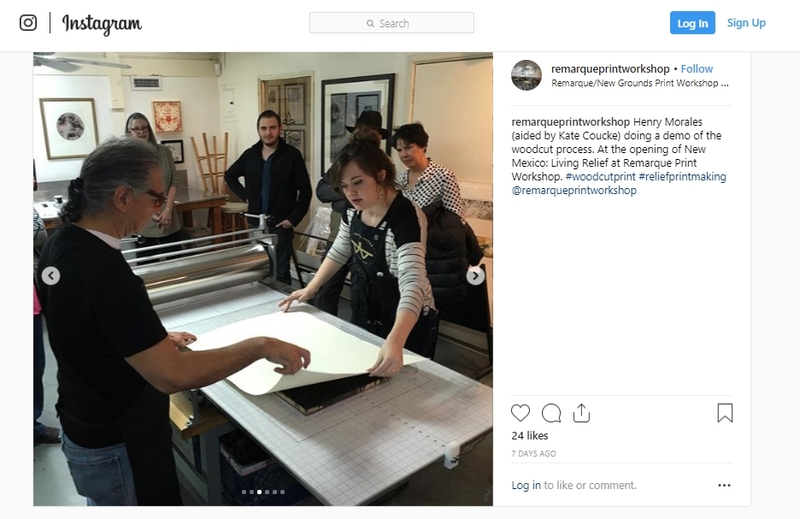 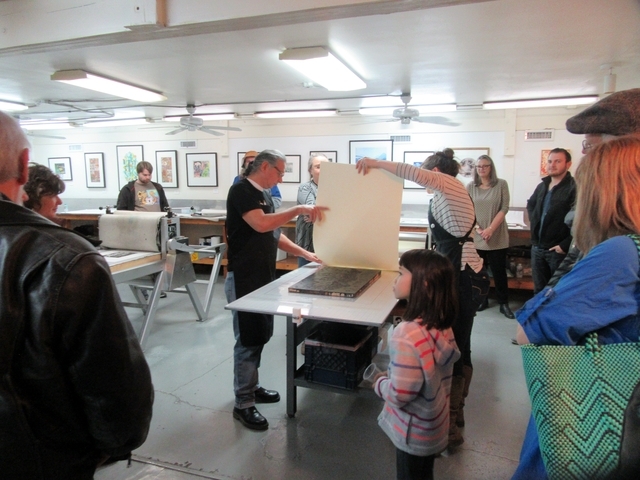 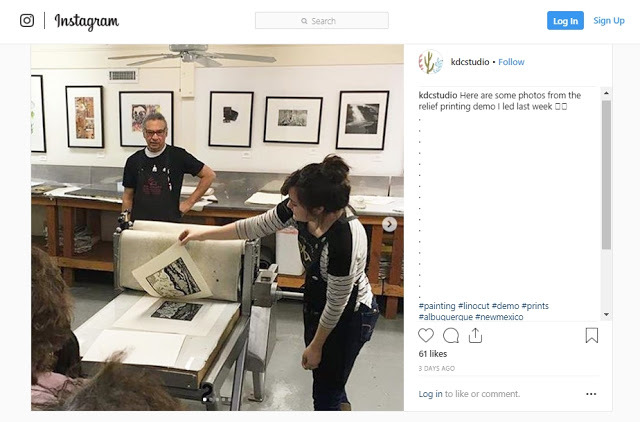 The Monday following our opening, Remarque Print Workshop in Albuquerque hosted 5 printmakers from Oregon and Colorado, for a week long residency. 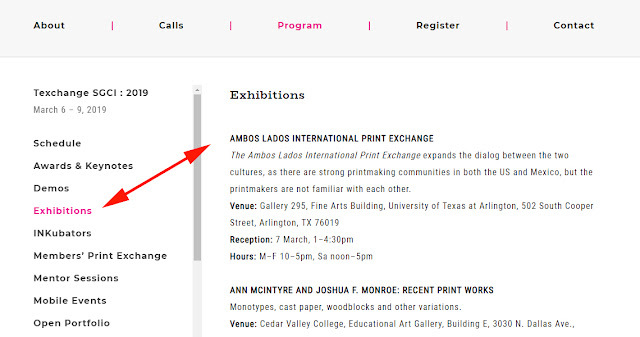 We are showing 158 matted and framed prints, from Mexico and the USA -- the Ambos Lados International Print Exchange -- at the upcoming SGCI print conference in Dallas, March 6th - 9th, 2019. 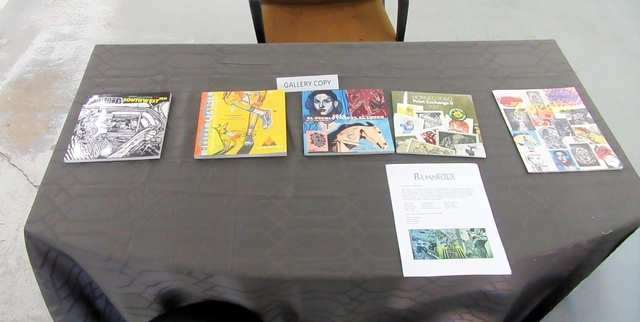 We also have prints from Australia, Canada, Cuba and Ireland. 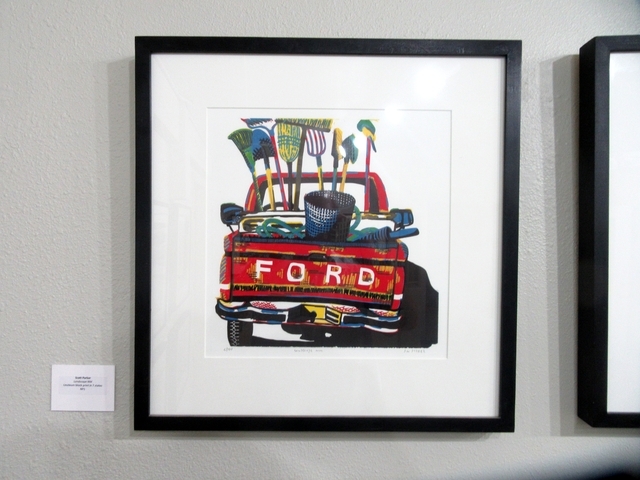 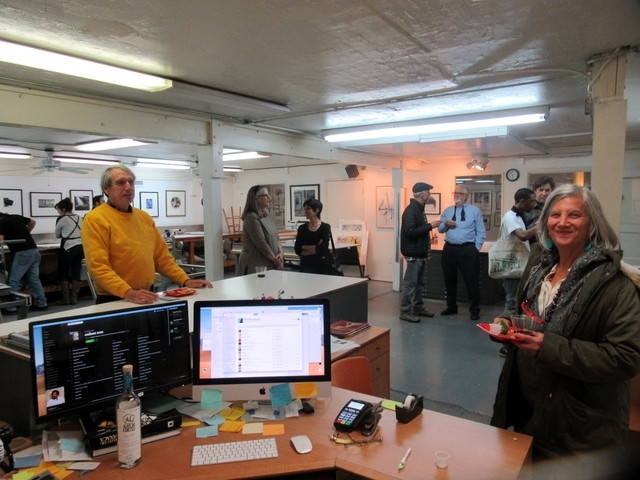 During the opening we showed one of those Ambos Lados prints, by Curtis Wilson III. 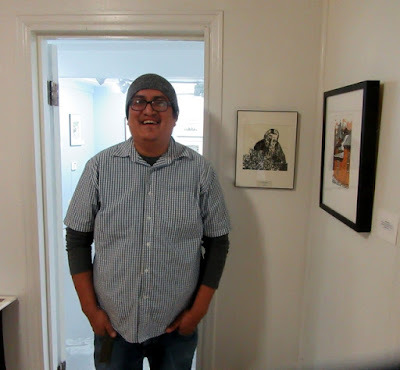 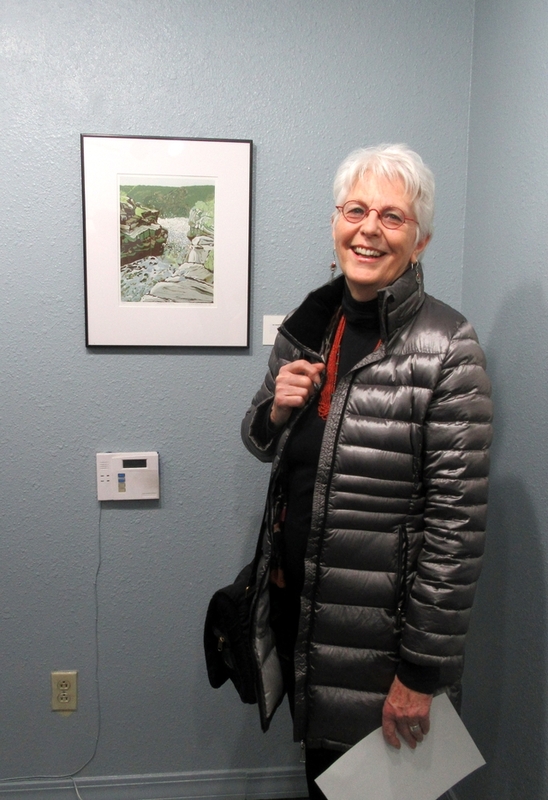 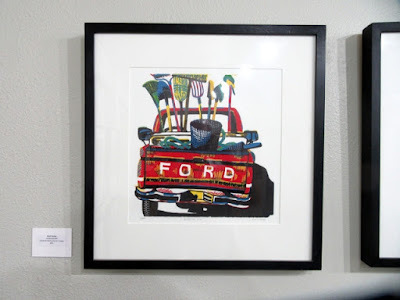 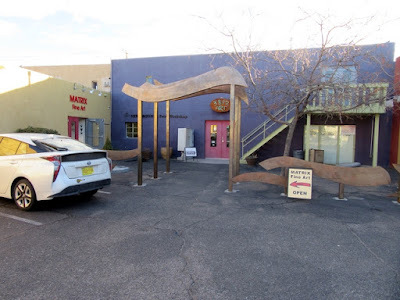 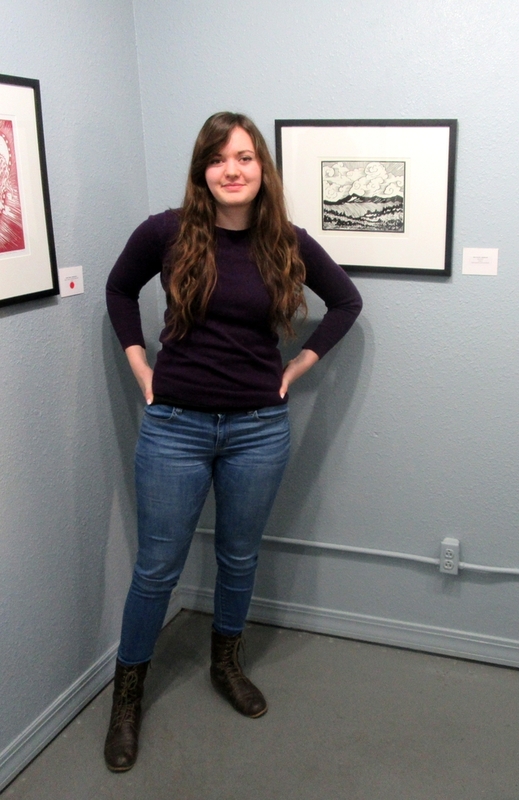 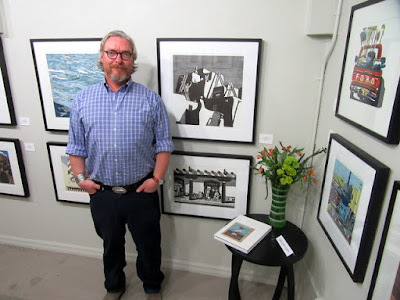 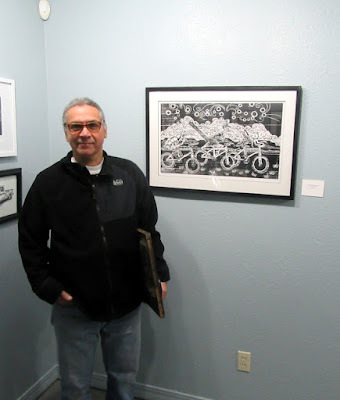 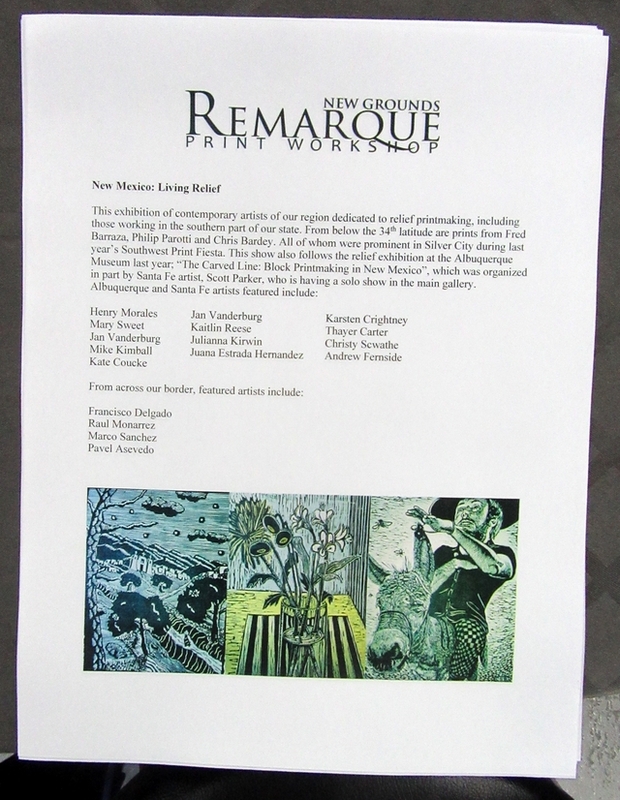 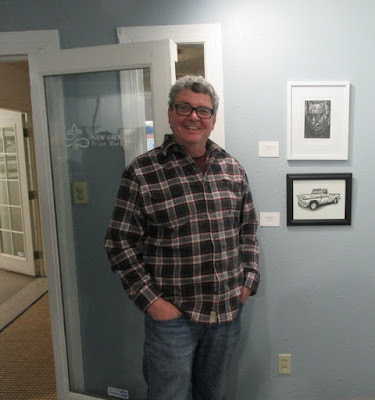 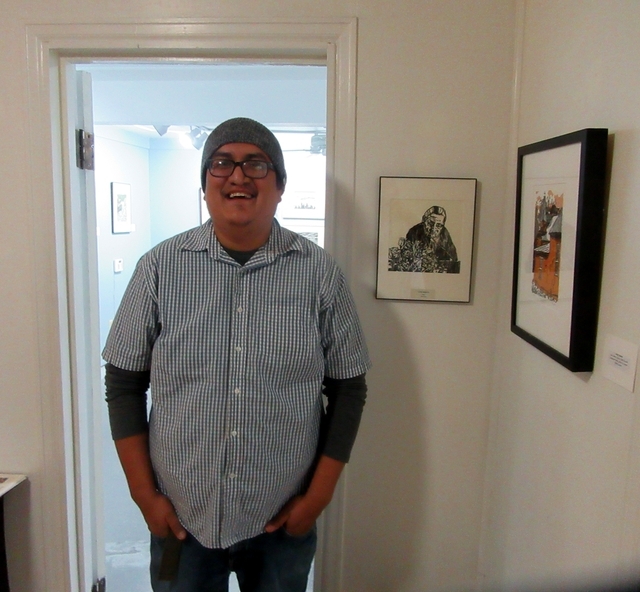 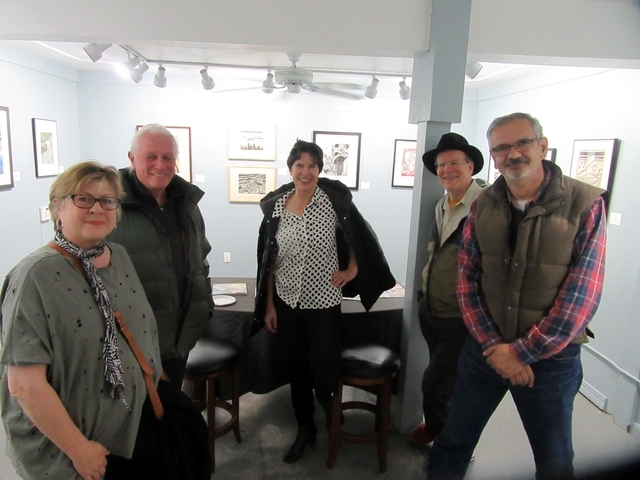 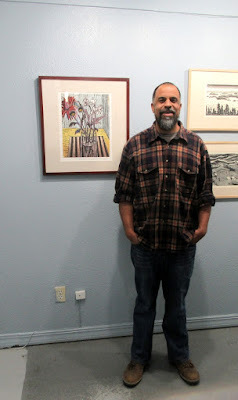 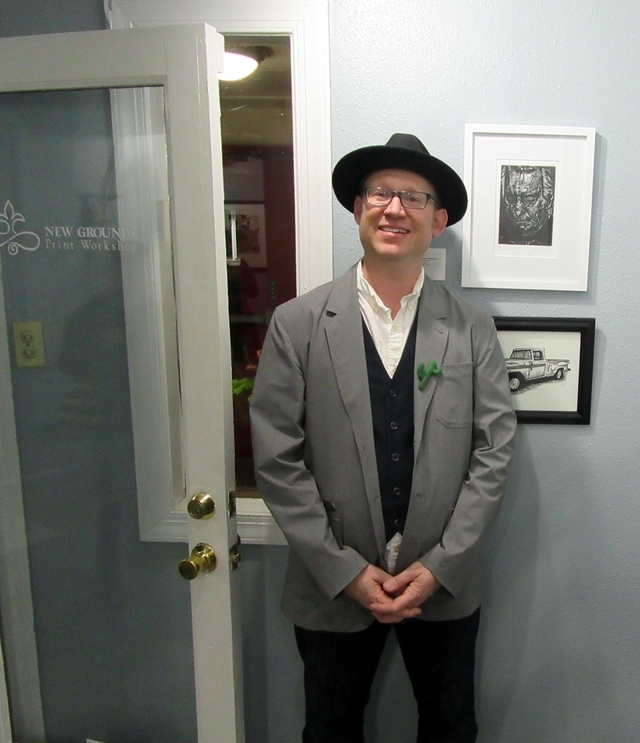 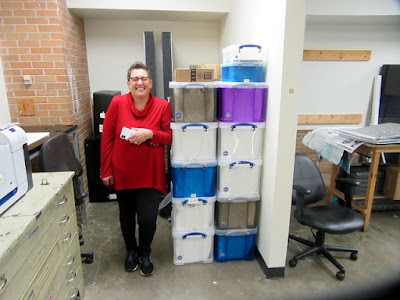 if one clicks on "Exhibitions"
We had a great opening for the "New Mexico:Living Relief" exhibition at Remarque Print Workshop in Albuquerque on February 1st, 2019 (see the prints at this link). Great showing from Santa Fe!! !